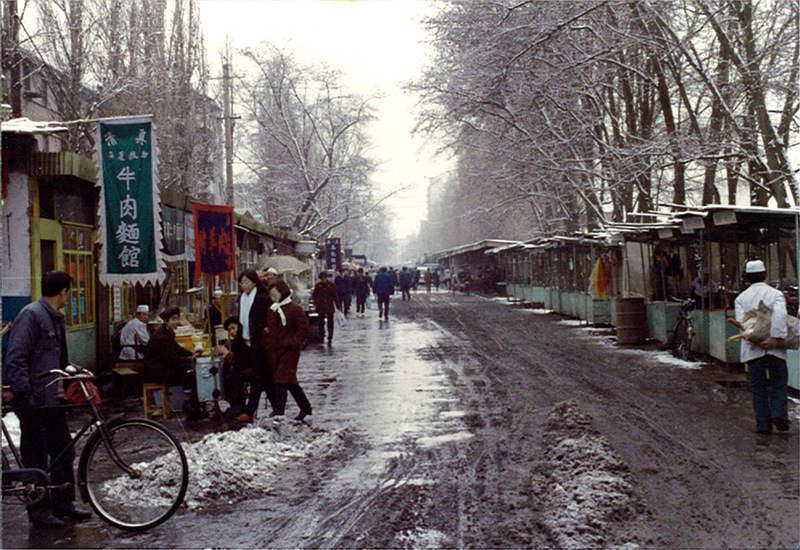 Twenty years ago I lived as one of 30 Westerners in a city of 2.5 million Chinese people. That is .0012% of the population. So yes, we stood out. Every afternoon when I walked through the street market, I could hear people calling out, laowai, laowai! (foreigner, foreigner). It wasn’t a matter of being friendly or malicious. It was more like sneezing. They couldn’t help themselves. Every day for a year, I walked down the same market street and heard the same people call out as I walked by. Monday, shopping for vegetables: Laowai! Tuesday, out to get chow mien: Laowai! Wednesday, walking to Lanzhou University: Laowai! Thursday, walking past the fly-infested butcher stall: Laowai! Friday, in search of garlic: Laowai! Saturday, checking out a giant clay pot: Laowai! Sunday, ready for Uyghur barbecue: Laowai! This kind of treatment drives a lot of laowai crazy, but it can also make you feel like a real celebrity. 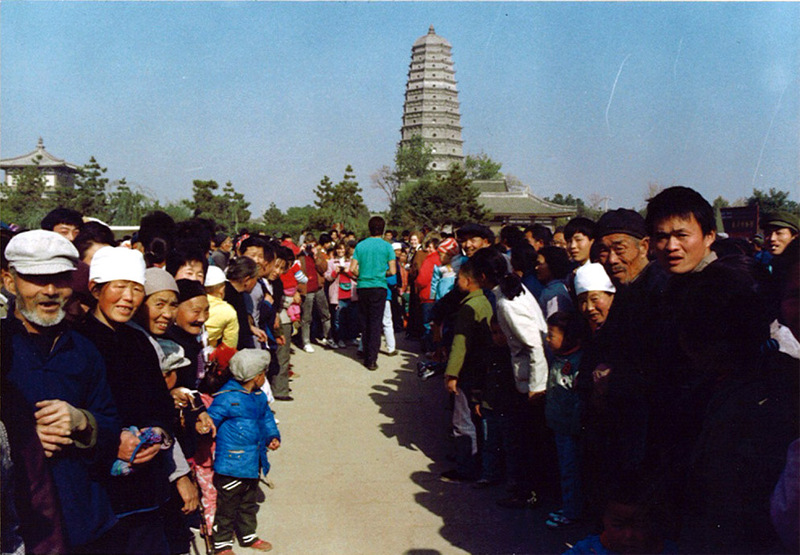 That was the case on a trip the 30 of us took to Famen Temple in neighboring Shaanxi Province. The town of Famen had been closed to foreigners in Communist China until the year we showed up. And we showed up in a big ostentatious tour bus. Famen holds a relic purported to be the Buddha’s thumb. A little gray-white bone behind glass. On the afternoon we visited, the most magical thing in town was a handful of laowai who could simultaneously draw people together in huge waves and then part them like Moses at the Red Sea. Twenty years later and back in the States. We are traveling down to Olympia on Thanksgiving in heavy traffic and there is an accident up ahead. Like every other car on the freeway, we creep slowly by looking for damage in the cars pulled off to the side. And then, right in the middle of the accident, we see two little people dressed in their Thanksgiving Day best. I imagine they had been looking forward to dinner with family and friends until an inattentive driver rear-ended their holiday plans and left them stranded. Standing by the side of a busy highway being interrogated by a police officer while countless strangers drive slowly by, staring and muttering instinctively. Laowai.